Mold has a very distinct smell. It smells pungent, and it’s pretty hard to mistake it for anything else. So even if it’s located behind a wall or in a spot you can’t see, you will probably be able to smell it if it’s there. 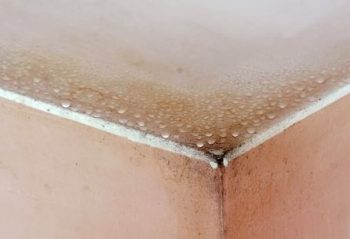 If you walk into a part of your home and immediately smell that something might be off, you should have a mold remediation expert come in and take a look. They should be able to identify the smell and find the source of it. Mold exposure can lead to a series of health problems, so you should look out for symptoms of it. If you have nasal or sinus congestion, a runny nose, a cough, throat irritation, or sneezing fits almost all the time when you’re in your home or business, mold could very well may be to blame. If these symptoms are persistent, you should consider that you could have a mold issue. The most obvious sign of mold is mold growth. But believe it or not, some people will try to ignore mold growth or shrug it off by saying, “It’s not that bad, so I don’t have to worry about it.” You should always worry about mold, and you should have mold removal and remediation done right away if you see it.